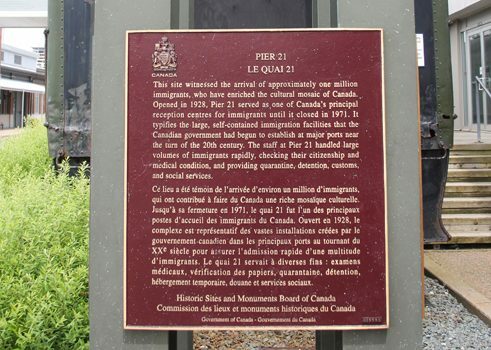 Between 1928 and 1971, the former jetty on Pier 21 in the Halifax harbour was the arrival point for over a million immigrants who crossed the Atlantic in numerous passenger ships on their search for a better life, predominantly of European heritage. After the discovery of North America, both the British and French governments developed targeted strategies to colonize Canada, hoping to secure the dominant position in the country. The maritime region on the east coast played a deciding role, as it was a popular landing point for the majority of ships from Europe and it enabled further colonization by land. The first British fleet of 13 transport ships led by Edward Cornwallis arrived as early as 1750, and it carried with it 2375 men, women, and children to settle the fortified town of Halifax. Almost 300 of the settlers were German speakers, and in the following decades, the number of European immigrants steadily grew. 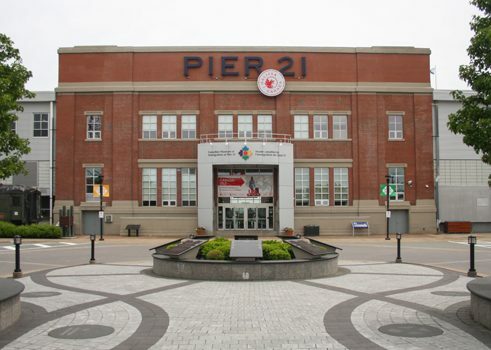 Pier 2, which had been allotted for immigration purposes, was replaced by a large hall on Pier 21 in 1928. 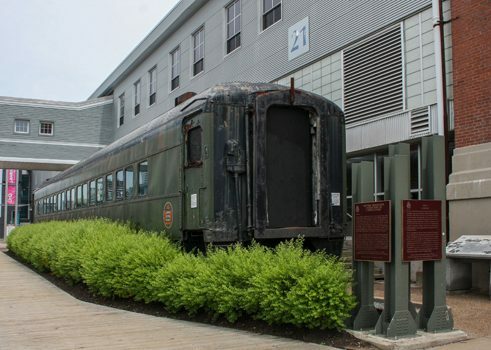 After their arrival by ship, the immigrants were released with their belongings into the bustling activity of the pier, where they were met by nuns and volunteers from the Red Cross. They functioned as the pier’s welcoming party and offered a sympathetic ear to the immigrants who wanted to talk about their fears, worries, and difficulties. Immigration was a major turning point in all their lives, and the uncertainty and change was a heavy burden for many. In some cases, medical attention was necessary, because the long voyage could have consequences for people’s health. Translation services were on offer, and there were child-care options while the parents took care of getting their immigration papers. After a few hours of waiting in the arrival hall, families would be called by name, get a stamp in their passports marking them as Canadian Permanent Residents, and then were released into the unknown. In the museum, you can find many short films telling the stories of immigrants like Barbara Boldt (née Hartmann), who immigrated to Halifax from Hamburg on the ship “Italia” in 1952, entering Canada via Pier 21. When she was a young woman, she escaped the post-war period in Germany, and applied as a hard-working German maid hoping to find work in Canada. After successfully applying, she was also able to help her brothers immigrate. In addition to the diverse audio-visual stories of German immigrants, visitors to the museum can see almost all the ship routes that operated between Germany and Canada. Some information can be accessed online as well, but it’s definitely worth visiting the museum and passing the time browsing through passenger lists and family histories.